Bear Hug sweater is a gorgeous soft pink knit sweater with a bear head on one shoulder and his paws around the sides, as if he's giving the doll a big squeeze. Bear Hug sweater is a gorgeous soft pink knit sweater with a bear head on one shoulder and his paws around the sides, as if he's giving the doll a big squeeze. Sure to be a favourite in the wardrobe because of its cuteness factor! 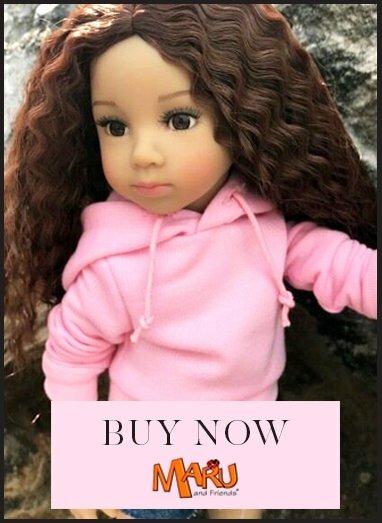 Kitty doll and jeans are not included but can be purchased additionally.